Banbury retained the Bernard Tollett Trophy, beating Oxford for the second year running in Sunday’s final. 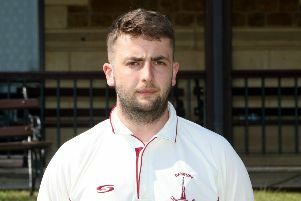 Luke Ryan hit the winning runs, a six, as Banbury won by six wickets in Sunday’s final at White Post Road. Ryan, at 28, was the most experienced player in a young Banbury side which ended the season with some silverware. Oxford got off to a flying start and reached 72-1 before Shabaaz Alam 35 was caught by Ollie Wright off Ollie Clarke for 35. Fellow opener Owyn Tong-Jones 17 kept the scoreboard ticking over but wickets fell at regular intervals. Shamilal Mendis 17 and Mursaleen Sadiqi 19 were the only other batsman to make a significant contribution as Oxford posted 131-6 in their 20 overs. Clarke took 2-38, Karl Penhale claimed 2-17, Wright took 1-23 and Lloyd Sabin picked up 1-16. In reply, Banbury soon lost opener Tom Bartlett but Sabin and Clarke took the hosts on to 53-2 before Ryan came in to partner his captain. The pair looked as though they would take Banbury a long way towards the total before Sabin went for 36, bowled by Alam. But Banbury had wickets in hand and the runs continued to come. Ryan 39 and Charlie Hill 27 produced the match winning partnership as they saw Banbury home in the 19th over.